We are proud to be a Commemorative Partner in the United States of America 50th Anniversary of Vietnam Commemoration! 1. To thank and honor veterans of the Vietnam War, including personnel who were held as prisoners of war (POW), or listed as missing in action (MIA), for their service and sacrifice on behalf of the United States and to thank and honor the families of these veterans. 2. 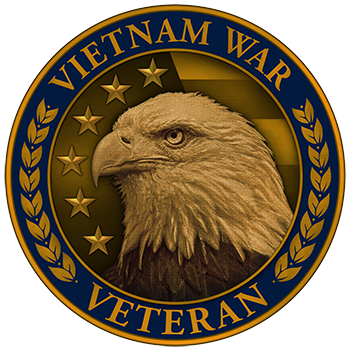 To highlight the service of the Armed Forces during the Vietnam War and the contributions of Federal agencies and governmental and non-governmental organizations that served with, or in support of, the Armed Forces. 3. To pay tribute to the contributions made on the home front by the people of the United States during the Vietnam War. 4. To highlight the advances in technology, science, and medicine related to military research conducted during the Vietnam War. 5. To recognize the contributions and sacrifices made by the allies of the United States during the Vietnam War. The Commemoration is providing Vietnam Veteran Lapel Pins to Commemorative Partners for presentation to living U.S. military veterans who served during the Vietnam War period as a lasting memento of the nation's thanks. The reverse of the pin bears the inscription "A Grateful Nation Thanks and Honors You." Veterans who served on active duty in the U.S. Armed Forces at any time during the period of November 1, 1955 to May 15, 1975, regardless of location, are eligible to receive one lapel pin. Special pins are also available to surviving spouses. To receive your lapel pin visit the Museum or call Catherine Beers-Conrad at 937-267-7629. We're happy to schedule a formal presentation for groups as well. Unfortunately, we cannot mail the lapel pins; to locate a Commemorative Partner near you, visit the Commemorative Partner Map at http://www.vietnamwar50th.com/partners/partner_map/. Please contact a partner in your area to find out when the next event will be or if they have lapel pins on hand to present to you.